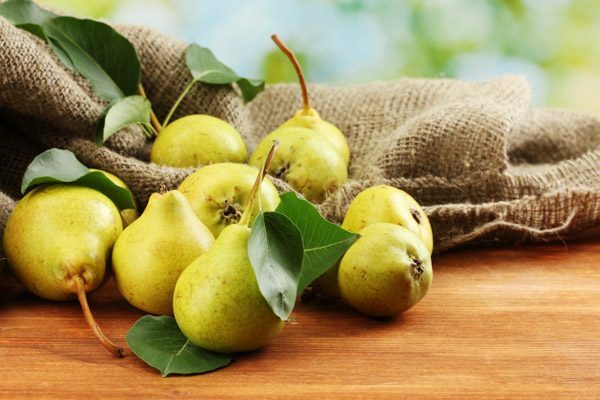 Pears are among the most popular fruits in the world. There are over 3,000 varieties available and their flavour ranges from mildly sweet to spicy-sweet to tart-sweet. The most common varieties in Canada are Bartlett, Anjou and Bosc and our peak season is from the early fall, through the winter. All are a delicious and nutritious snack that will add a delicate flavour to savoury dishes such as soups or salads, or shine in desserts laced with ginger and cardamom. Green Anjou: A firmer variety with a refreshingly sweet flavour and a hint of citrus. 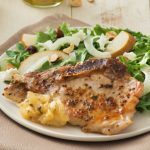 A good all-purpose pear for eating fresh and cooking. 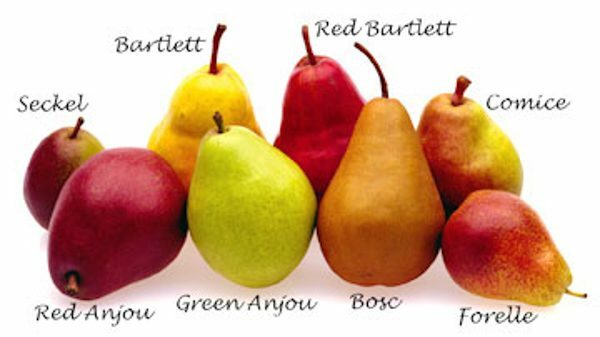 Red Anjou: A pretty pear, this red variety is moist and slightly sweeter than its green counterpart. 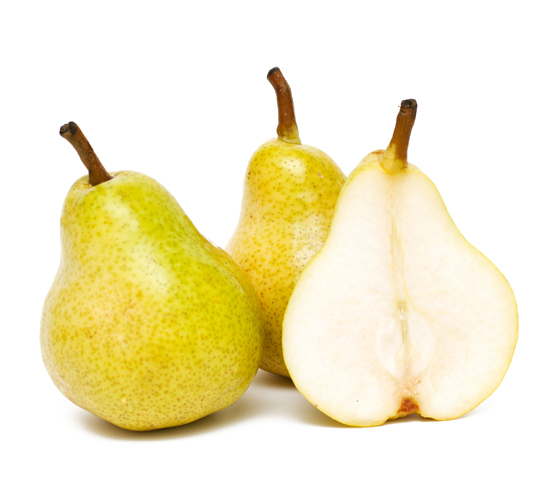 Bartlett*: One of the most common pears available with a signature pear flavour, abundant juice and a soft ripe flesh. Bartletts are the variety selected for commercially produced juices and preserves. Bosc*: A firmer variety with a woodsy, honey sweet flavour. This pear has naturally occurring brown spots on the skin, known as russeting. These blemishes are normal and do not indicate poor quality. Furthermore, it is fine to eat the skin despite the markings, just like any other pear. Clapp’s Favourite*: Similar in shape to Bartlett, with white flesh and exceptional sweetness. Its skin turns golden yellow when ripe. Available for a short time in the fall. Comice: This is a succulent pear with smooth buttery texture and sweet flavour. Concorde: A crunchy variety with a hint of vanilla. 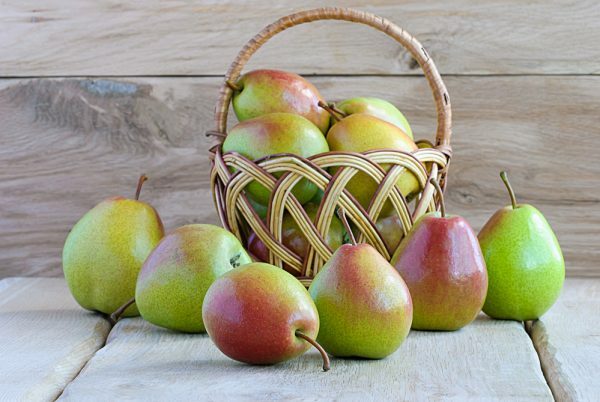 Flemish Beauty*: Is a rounder pear, with thick, clear, yellow skin that’s speckled with red when ripe. The creamy colored flesh becomes meltingly tender when ripe and ready to consume. Forelle: Crisp, tangy, and refreshingly sweet. Starkrimson: This red pear gets brighter as it ripens. It is moist, sweet and aromatic. Asian: Asian varieties of pear have a similar crispness to an apple, only slightly more delicate. Sweet, and tart, these pears are great for eating out of hand. *These varieties are available from Ontario in the fall season. Pears are one of the few fruits that do not ripen on the tree. They are harvested when mature, but proceed to ripen after picking from the inside out. Therefore, pears may be hard and unripe when you buy them, but will get softer and sweeter once they are stored at room temperature at home. The Bartlett variety changes colour slightly as it ripens, starting out green and turning pale yellow. However, most other varieties do not change in appearance as they ripen. 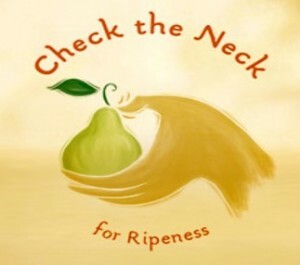 To test if your pear is ready to eat, USA Pears recommends that you, “Check the Neck™.” Simply apply gentle pressure to the neck, or stem end of the pear with your thumb. If it yields to pressure, then it’s ripe and ready to enjoy. If your pears are not yet ripe, store them at room temperature. If your pears are already ripe, they should be refrigerated in an open plastic bag, where they will last up to five days. It is not recommended that fresh pears be frozen. However, cooked pears (i.e. pear sauce or pie filling) do freeze well in a lidded freezer-safe container, which will aid in avoiding freezer burn. Pears can be eaten whole, skin and all, just like an apple. As with any fruit, it is recommended that you wash pears before consuming them. Use cold water and gently rub them, taking care near the stem and base. A vegetable peeler works well to peel pears, or instead simply use a sharp paring knife. 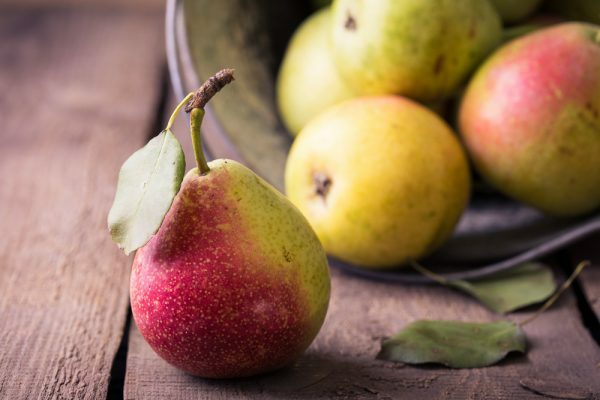 If you are not planning to eat them right away, you’ll want to make sure cut pears are dipped in a mixture of lemon juice and water (acidulated water) to keep them from turning brown. To core a pear, either slice it into quarters and cut out the core, or cut the pear in half and use a melon baller to scoop out the core. 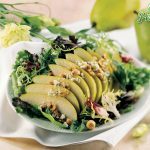 There are many ways in which you can prepare a pear. 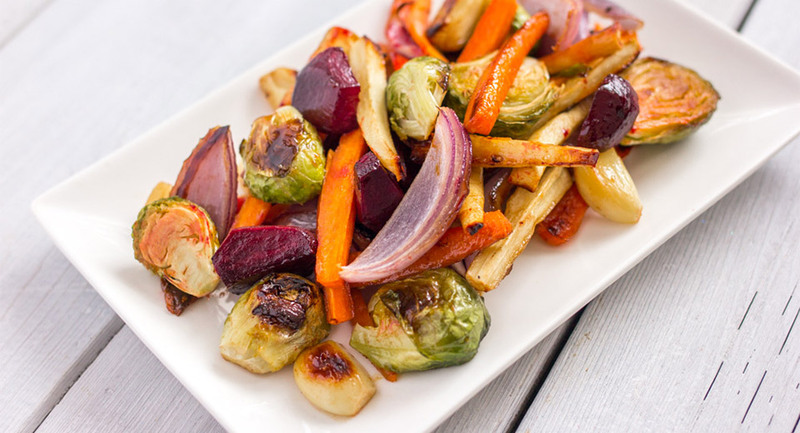 In addition to eating them raw, they can be baked, grilled, poached, roasted, sautéed, sauced and stewed. Important to note: Pears can almost always be substituted in any recipe that calls for apples. Pears ripen from the inside out. Apply gentle pressure to the neck to feel if they are ripe. 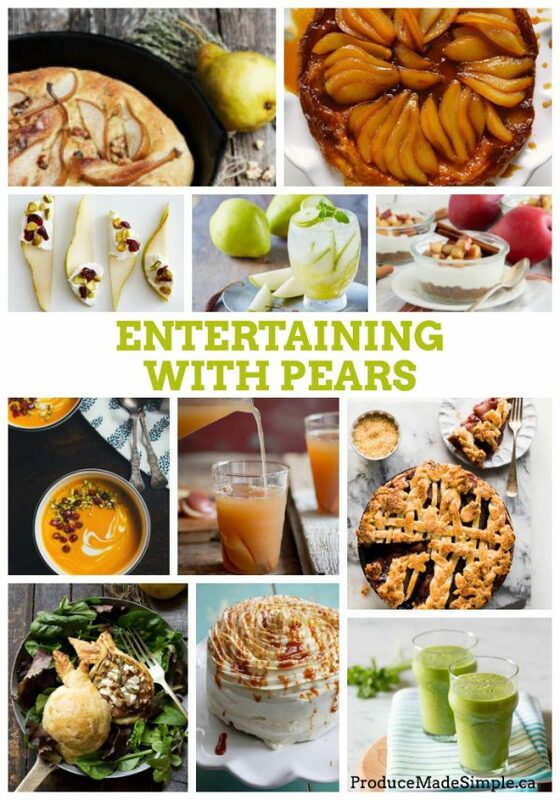 If cooking with pears, choose firmer varieties that hold their shape, like Bosc or Anjou. 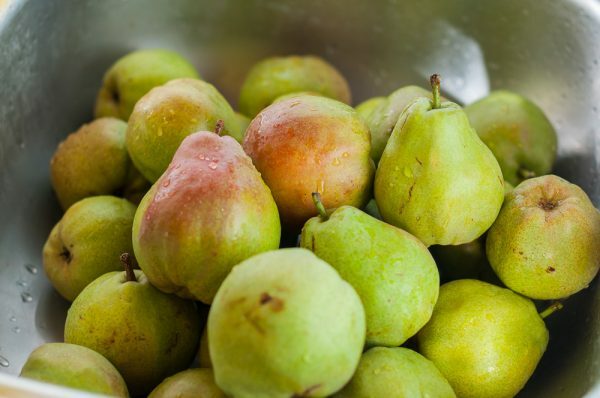 Peel pears before cooking them, as their skin tends to become tough when heated. If storing pears in the fridge, it’s important to store them in a perforated or open bag, or the fruit will darken at the centre. Pears and apples are interchangeable in most recipes. 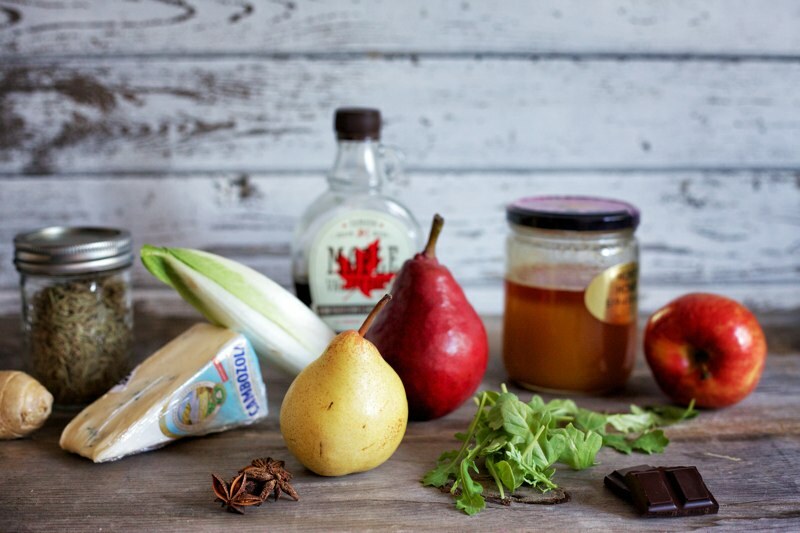 Pears are delicious served with cheese, nuts and chocolate. 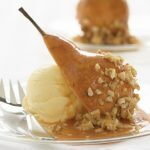 When baking or poaching whole pears, choose pears that are similar in size. That way they’ll cook at the same rate. To ripen your fruit, place in a paper bag with an apple and puncture the bag several times with a knife. Seal close and store at room temperature. Pears are a nutrient dense food. 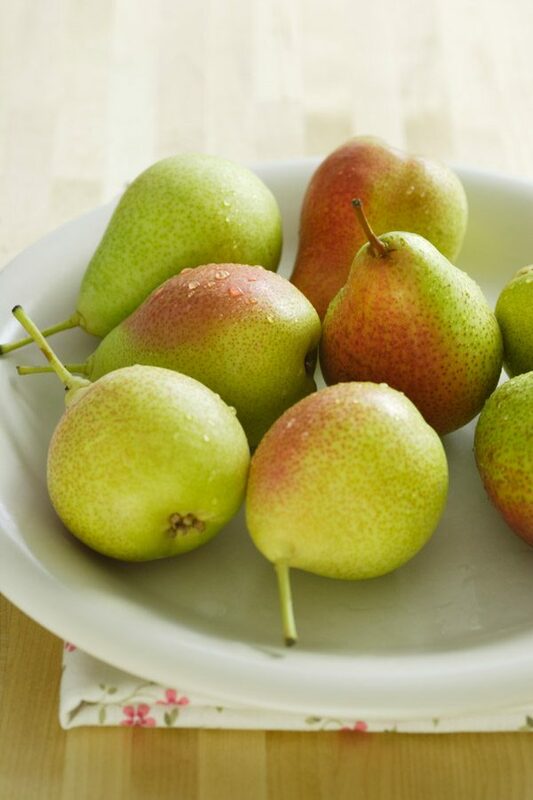 A medium pear has just 58 calories, and provides 3 grams of fibre or 12% of the recommended daily allowance.